﻿﻿Ghost-faced bats’ frightening features actually aid echolocation. ﻿﻿Once upon a time, an ugly mythical creature called a bugbear gobbled up children if they refused to behave. At least, that’s what their frazzled parents had them believe! Leafy-looking flaps on their chins account for their other common name — leaf-chinned bats. Little more is known about this elusive species. 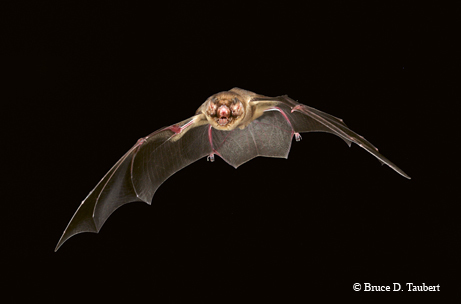 They often share caves with myotis and Brazilian free-tailed bats. Barely, that is. Ghost-faced bats avoid roosting near other species and — unlike their more sociable relatives who sleep bunched up together — keep six inches apart among themselves.